Naturalist Alain Belliveau has been concerned about harvesting in the Tobeatic Wildlife Management Area and realized that few people know what the Sanctuary / Wildlife Management Area is all about, so wrote an essay about it. Alain appeals to Nova Scotians to express their views about the area and especially to let their MLAs know about them. The essay is presented below, complemented with artwork and photos from Mark Brennan’s Tobeatic Sketches. 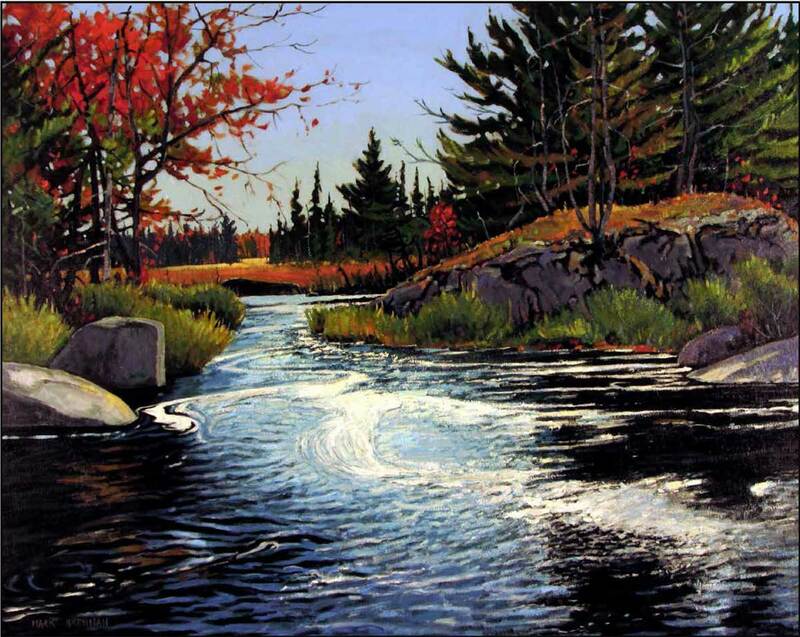 “John Pictou Carry”, Sporting Lake Stream, oil on birch panel by Mark Brennan, posted with permission of Mark Brennan. What is the Legacy of Our Oldest Protected Wilderness? An impressive anniversary is coming up in Nova Scotia, notable to anyone who enjoys the out-of-doors or simply the notion of areas being set aside for protecting our rich backwoods heritage, for wildlife to prosper and for Species At Risk to recover (and many have yet to do so). The first large wild spaces were safeguarded 90 years ago, and included the famed Tobeatic. Across North America in the late 1800s, the noticeable decline in wildlife populations and in pristine places was starting to reach the public’s eye. In short, people didn’t want to see a further decline of places where they could observe wildlife unspoiled, vacation in utmost peace and quiet in scenic areas, and insure a healthy game population for surrounding areas. Here in Nova Scotia, the Beaver almost disappeared, the Caribou was on its way out, and the Passenger Pigeon, among other species, had already disappeared. Seeing the writing on the wall, passionate outdoor enthusiast groups and wildlife stewardship groups started cropping up across the continent and began to push for more protection for wildlife. They understood that those threatened wildlife populations and wild places were vital to their outdoor experiences, to overall ecological health of forests and streams, to human health, and to many aspects of the economy. This resulted in the establishment of some of the most celebrated parks like Yellowstone National Park in the Rockies and Algonquin Provincial Park in Ontario. And in Nova Scotia: the Tobeatic. Under the peculiar conditions that exist on the North American continent, where the opening up of enormous areas of land by […] the penetration of virgin forest by […] lumbermen, and prospectors, and the reclamation of the wilderness have led to wide-spread destruction of the haunts of our wild life with a consequent disappearance of the greater portion of it, other measures than the promulgation of game laws, which at the best are difficult to enforce completely, are necessary to insure the preservation of what wild life remains. Of such protective measures by far the most important is the establishment of wild-life reserves, refuges, or sanctuaries in which the native mammals and birds are protected. View Winter is perfect for perusing old tales of game wardens (Alain Belliveau in the Chronicle Herald, Feb 1, 2015) for some history of the activities of game sanctuary wardens in the the Tobeatic and Liscomb game sanctuaries. Although I originally wrote this as a purely celebratory piece, this is where this article must take on a more sombre tone. Unfortunately, the Sanctuary’s intended purpose was soon compromised and has yet to take full effect. Among other degrading activities such as Mainland Moose poaching, the pulp industry clearcut portions of the southeastern end of the Sanctuary, both on public and private lands. The Sanctuary was significantly set back by the lack of proper legislation to protect its values, the fact that some of the Sanctuary was privately-owned, and by pressure from industry to clearcut the area’s trees and dam the area’s lakes for moving wood. Although not much has happened about large, profit-driven industry’s influence on government, the province eventually stepped up to rectify, in part, the two other setbacks. 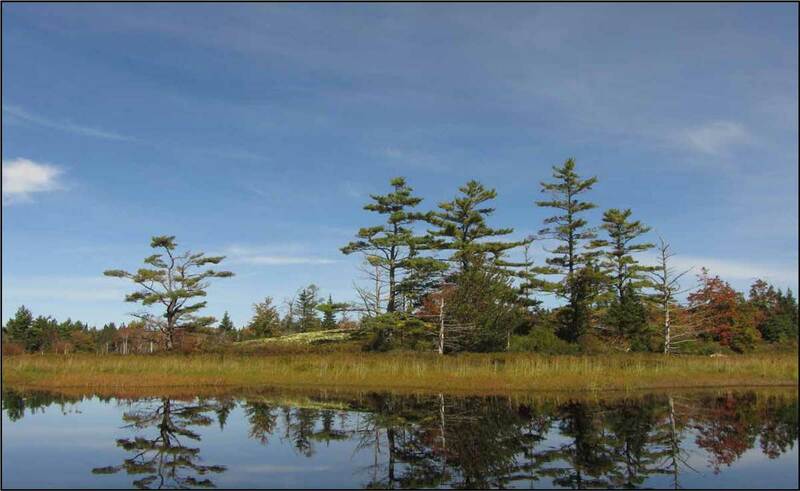 In 1998, Nova Scotia approved the Wilderness Areas Protection Act to “maintain and restore the integrity of natural processes and biodiversity” of designated protected areas, and protected what we now know as the Tobeatic Wilderness Area, which captured most of the Sanctuary but could not secure the privately-owned, southeastern portion. In 2012, however, almost all of that privately-owned portion was purchased by the province when it acquired all of Resolute Forest Products’ (formerly Bowater’s) land, due in large part to local “Buy Back” groups petitioning the government to move in and impose changes in land-use practices. The much storied-Sanctuary (now called the Tobeatic Wildlife Management Area), with its rich history of First Nations use, guiding and sporting in the 1800s and 1900s, published accounts describing ruggedly pristine, peaceful wilderness abounding with wildlife, unpublished accounts going all the way back to the American Revolutionary War, and a rare network of oft-used picturesque paddling and hiking routes still active to this day, is in a teetering situation. Although now publicly-owned, that southeastern portion of the Sanctuary has not been protected. Instead, a proposed clearcut in the Sanctuary has placed the spotlight on this provincial treasure. The province – specifically your MLA – needs and wants more information and more input. The question remains: what is the public’s vision for the legacy of the Tobeatic Sanctuary? 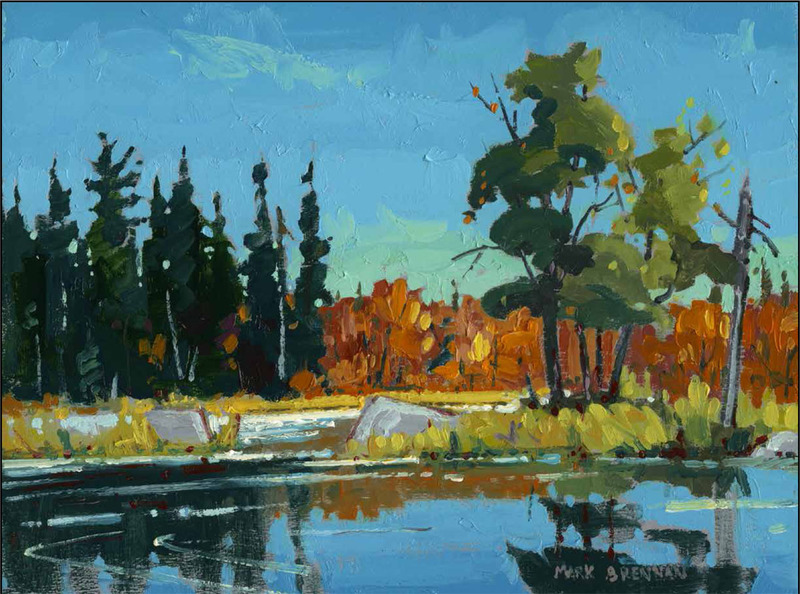 by Mark Brennan, posted on www.markbrennanfineart.ca. 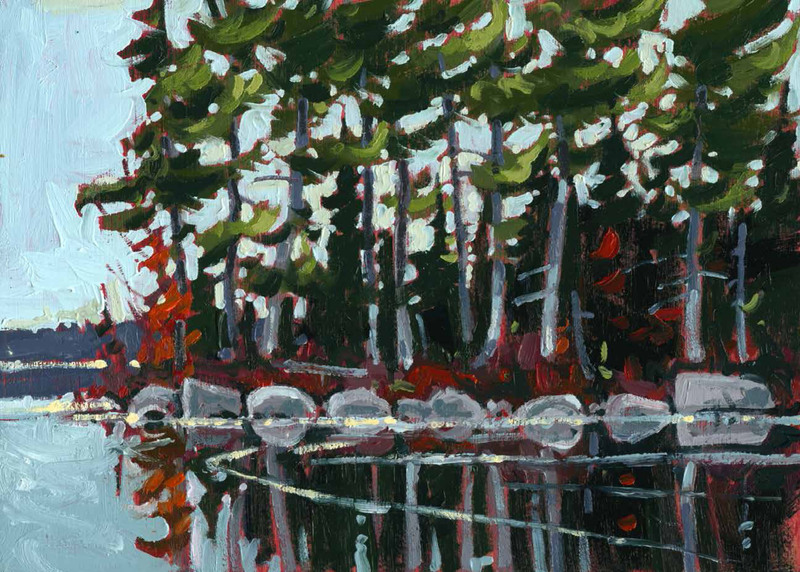 An essay with artwork and photos about two canoe excursions into the Tobeatic. Mike Parker was relaxing in the Tobeatic Wilderness Area in front of a campfire, enjoying the full moon, when he heard the unmistakable roar of a tree harvester in the distance. “It went on all night and it really upset the ambiance,” says Parker. “Our woods and waters are under such pressures during the day. Why does it have to happen at night, too?” While Parker says he didn’t blame the contractor for making a living, the unpleasant evening has stayed with him. So he wrote a book – Nebooktook: In The Woods – that celebrates nature’s beauty while condemning its pollution and poisoning. Spanning parts of five counties and nearly 120,000 hectares, Tobeatic Wilderness Area is the largest protected area in the Maritimes. It protects the headwaters of nine major rivers which flow to both the Atlantic and Fundy coasts, and is among the most significant and undisturbed places for wildlife, biodiversity conservation, and wilderness recreation in Nova Scotia…The lands that make up Tobeatic Wilderness Area have long been recognized as a refuge for wildlife. A portion of the area was designated as Game Sanctuary in 1927, and later as Wildlife Management Area in 1968. To better protect habitat, Tobeatic Wilderness Area was designated in 1998. A variety of small inholdings were acquired and added in subsequent years. In 2015, almost 16,000 hectares were added to better protect waterways, intact forest, endangered species habitat and public access points. Post on this website Oct 10, 2017. Thanks Alain, Mark for caring and sharing. 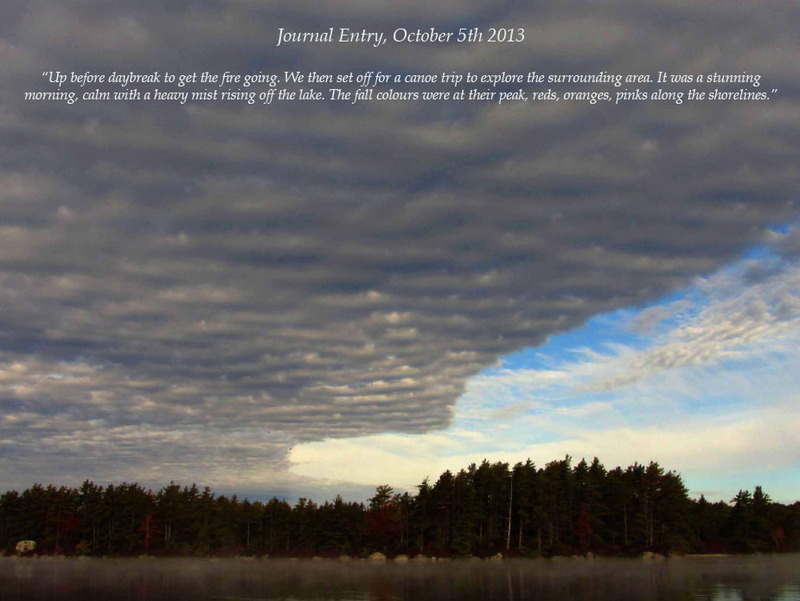 This entry was posted in Acadian Forest, Biophilia, Conservation, Parks & Protected Areas, Social Values. Bookmark the permalink.